Multiple Embassies Working To Help Paul Whelan, Accused Of Spying In Russia Whelan was born in Canada and has since gained citizenship in the U.S., Britain and Ireland. Paul Whelan is being held in Moscow's Lefortovo prison, where he faces allegations of espionage. Family members insist that he is innocent — and was in Russia only to attend a wedding. Embassies of several countries are trying to assist ex-U.S. Marine Paul Whelan as he remains in a Moscow prison over allegations of espionage. Whelan was born in Canada and has since gained citizenship in the U.S., Britain and Ireland. If convicted, he could face up to 20 years in prison. At least three countries have confirmed that they have requested consular access to Whelan: The U.S., Britain and Ireland say they're working to support him in detention and ensure his rights are respected. "British Foreign Secretary Jeremy Hunt said he was extremely worried about Whelan and that the United Kingdom needed to see the case" against him, NPR's Frank Langfitt reports from London. Ireland's Department of Foreign Affairs said in a statement: "The Embassy of Ireland in Moscow has requested consular access to an Irish citizen currently detained in Russia after receiving a request for assistance," according to Irish state broadcaster RTE. And Canada's CBC News says it received a statement from the government's Global Affairs Canada, saying, "Consular officials are aware that a Canadian citizen has been arrested in Russia. Due to the provisions of the Privacy Act, no further information can be disclosed." 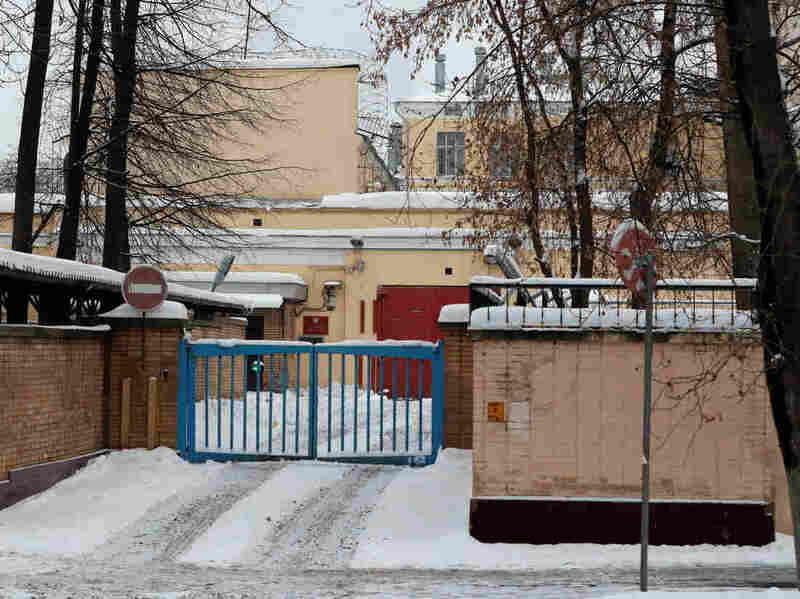 Whelan is being held in Moscow's Lefortovo prison, accused by Russia of trying to steal official secrets. His family says Whelan is not a spy — and that he was visiting Russia only to attend a wedding. CNN, citing Whelan's lawyer in Russia, Vladimir Zherebenkov, reported that Whelan "has been charged and detained ... since the day of his arrest." Zherebenkov said his client was being held without bail, which he called "excessive and unwarranted," and said he was seeking bail. Whelan, 48, lives in Michigan, where he is in charge of global security for automotive components supplier BorgWarner. Russia's Federal Security Service arrested him Dec. 28, and then waited several days before declaring it had snared Whelan in the middle of a spy mission. In the time since Whelan's detention was made public, several governments have acted on his behalf, bringing to light his ties to countries other than the U.S. The arrest quickly drew speculation that Russia and its president, Vladimir Putin, might seek to use Whelan as a bargaining chip to force the U.S. to release Maria Butina, the Russian operative who recently pleaded guilty to conspiracy to act as a foreign agent on American soil without registering. "Individuals should not be used as pawns of diplomatic leverage," the U.K.'s Hunt said Friday. Hints of the case against Whelan emerged Thursday when the Russian Rosbalt news agency described Whelan's arrest in his hotel. As reporter Charles Maynes told NPR from Moscow, Rosbalt cited a source within Russia's special services in reporting that Whelan had been "caught essentially receiving a flash drive [that] contained names of Russian intelligence agents in his Metropol Hotel room. That's in downtown Moscow." The account by Rosbalt has not been reported in other media and has generated some skepticism. "The problem," Maynes added, "is that skeptics feel that — look, it was a flash drive in 2019. You know, did Mr. Whelan even know what was on it? And the whole thing seems kind of very made-for-TV." Whelan was a U.S. Marine reservist who rose to the rank of staff sergeant during 14 years of service, including two deployments in Iraq. But he received a bad conduct discharge in 2008 on a charge of larceny — circumstances that were not previously known to his closest relatives, according to Whelan's twin brother. "The bad conduct discharge was news to us this week in the family. That was a surprise," David Whelan told NPR's Noel King. "And I think it's not unreasonable to expect that people will try and put out their best self, and Paul understandably might not have wanted to share that with his family. I don't think it has any implications or impact on this situation." The U.S. ambassador to Russia, former Utah Gov. Jon Huntsman, visited Paul Whelan in jail on Wednesday, after the U.S. requested access to him. Huntsman later called the Whelan family. "He told us what we hoped to hear, which was that Paul was alive and well, considering the conditions — I mean, being held in a Russian jail," David Whelan said, adding that his brother was told the consulate "could start helping him to get a lawyer and to help get funds to him so he can buy personal things ... like toilet paper and things that you need in a Russian jail." The Whelan family spent several days not knowing where Paul Whelan was after he disappeared and stopped communicating with relatives back home and friends in Russia — a country he has visited numerous times in the past decade. David Whelan said Huntsman's visit to his brother "was really just a good check to know that he was well and still alive." Earlier this week, NPR asked John Sipher, a former member of the CIA's Clandestine Service who worked in Moscow, whether Whelan fits the profile of an American spy working inside Russia — to which Sipher replied, "Absolutely not." Sipher noted the timing of Whelan's arrest so soon after Butina's guilty plea and said, "The one thing I can say for certain, is this is not how the U.S. commits espionage overseas. We would never put a U.S. citizen, without diplomatic immunity, in harm's way this way, especially looking after low-level things like this."